where S is the species richness, A is the area of habitat, and c and z are parameters determined from the data. The slope parameter z quantifies the rate of increase in number of species with area surveyed, and frequently falls between 0.2 and 0.4. 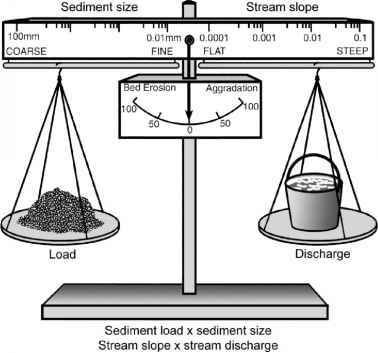 Several studies document that Equation 10.1 applies to rivers, although estimates of z vary widely. Freshwater mussels fall well within the expected range, with z = 0.32 (Figure 10.1).